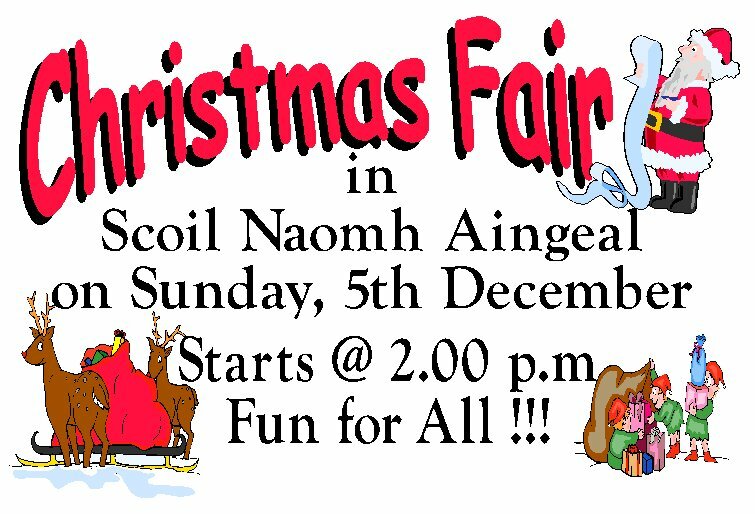 St Angela's Parents' Association is hosting the annual Christmas Fair on Sunday, December 5th from 2 p.m. onwards. This is always a fun-filled event with something for all the family. So forget those Winter blues and come along and meet friends and sample the atmosphere of the Christmas season.